This document will assist in the creation of a New Contact using iOS 7 or 8 devices, and will also assist you with Editing an existing contact. Open the Contacts Icon on your home screen. 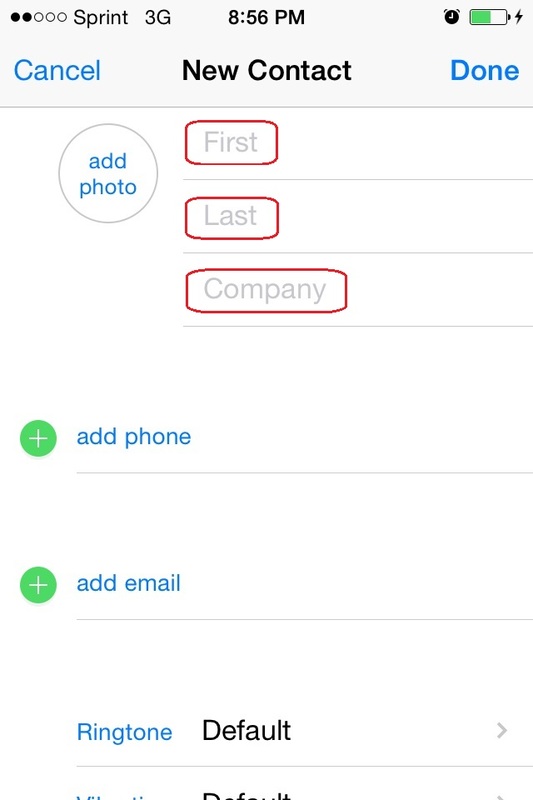 Choose the + symbol to add a New Contact. 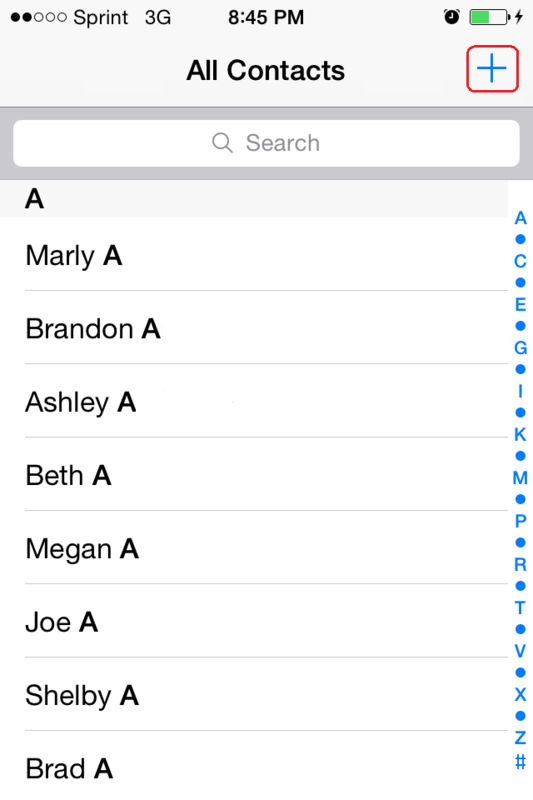 Choose Done and the New Contact will be created in your contacts list.